Nike SB Dunk High "Tricolor"
Paying homage to Euro superpower France, comes the Nike SB Dunk High Tricolor featuring a three tone take on the uppers. 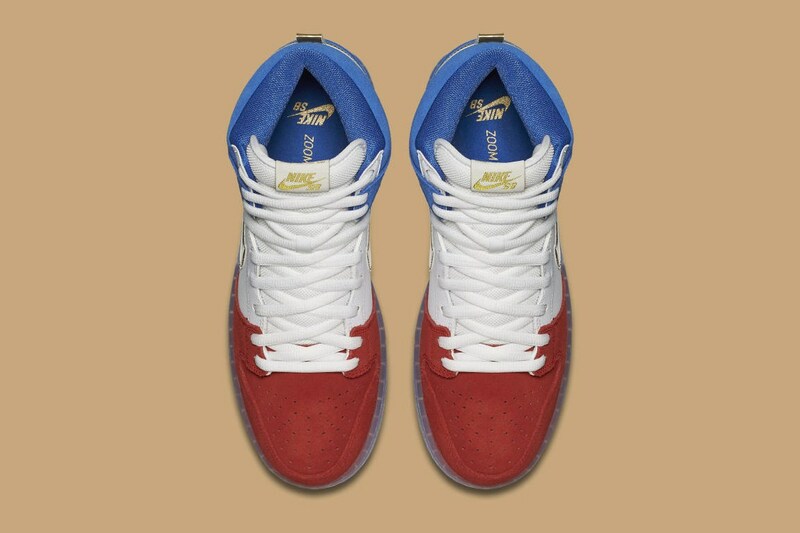 The Flag inspired SB Dunk High is a nod to the country of France and features a gold metallic swoosh on the side panels, alongside red, white and blue. 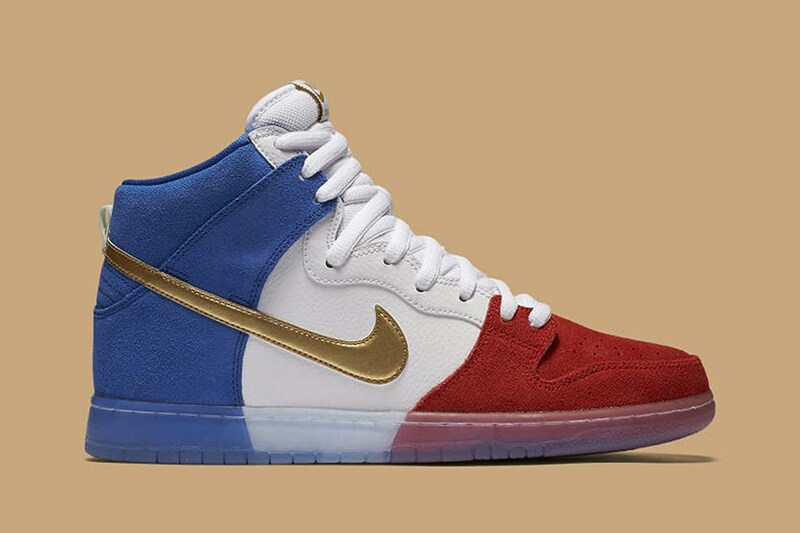 The France flag inspired Dunk High may be a special colorway for the upcoming 2016 Euro Cup in France so if you’re getting in tune with the games, you might as well cop these for the occasion. Stay tuned with Modern Notoriety for more news on the Nike SB Dunk High “Tri Color”.